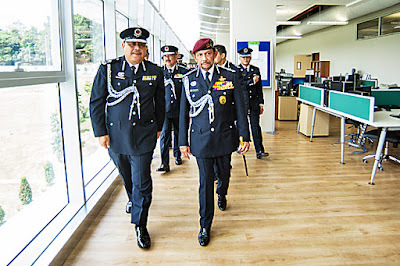 Upon arrival, they were greeted by Dato Paduka Seri Haji Mohd Jammy bin Haji Muhd Shah Al-Islam, the Commissioner of Police and senior police officials. Following the launch, His Majesty signed a plaque in conjunction with the unveiling of the new building and also consented to a pesambah from the personnel and staff of the RBPF. His Majesty and other members of the royal family also took a closer look at the environment-friendly building that was completed in August 2014. His Majesty first visited the second floor of the new headquarters which houses the office of the Director of General Administration and Finance Department, the Training Division as well as the Personnel and Career Planning Division. 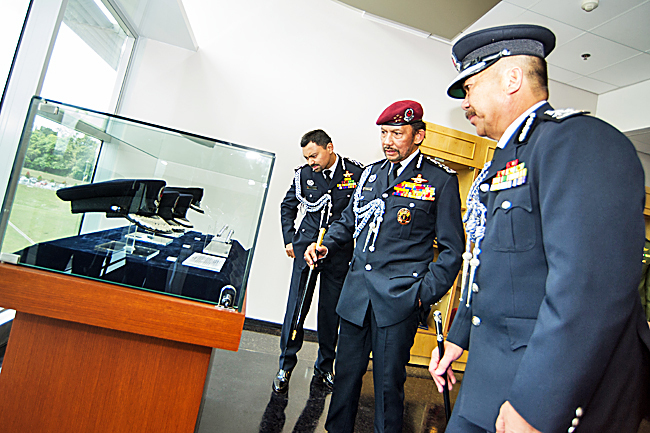 His Majesty then moved on to the fourth floor where the office of the Commissioner of Police and Deputy Commissioner of Police are located. 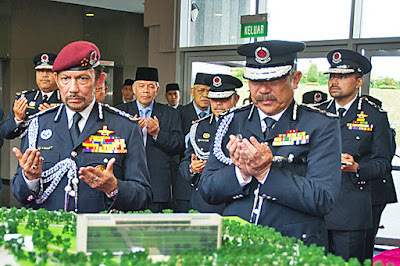 Also attending the ceremony were Dato Paduka Awang Haji Hamdan bin Haji Abu Bakar, the Deputy Minister at the Prime Minister’s Office; Dato Paduka Haji Mohd Juanda bin Haji Abdul Rashid, Permanent Secretary (Law and Welfare) at the Prime Minister’s Office; Mohamed Riza bin Dato Paduka Haji Mohamed Yunos, Permanent Secretary (Media and Cabinet) at the Prime Minister’s Office, and other officials. 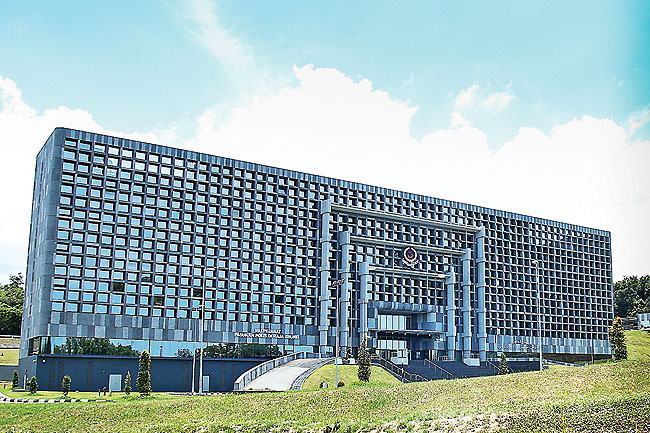 The design concept of the RBPF Headquarters new building reflects the identity of the Police Force, displaying its order and strength through the square geometry. The design also incorporate environ-mental-friendly elements like the use of solar shading, a core design that maximises usable floor space and narrow floor plates to allow more day lighting and ventilation.